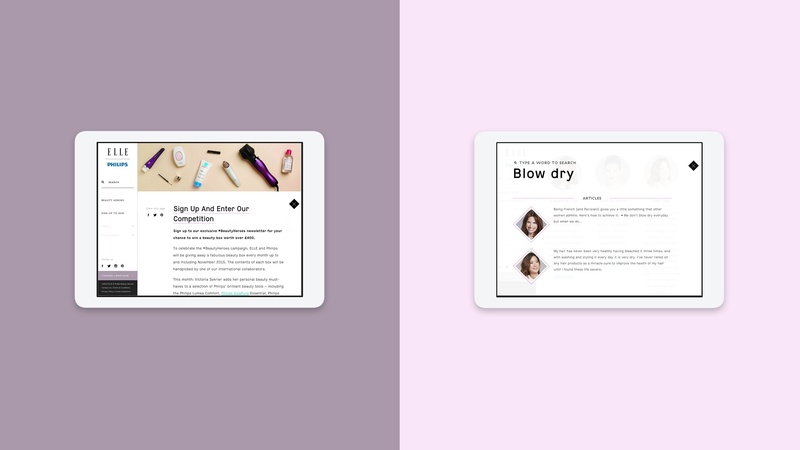 When Elle Magazine and Philips formed a partnership, they needed a way to spread the best beauty advice from around the world. 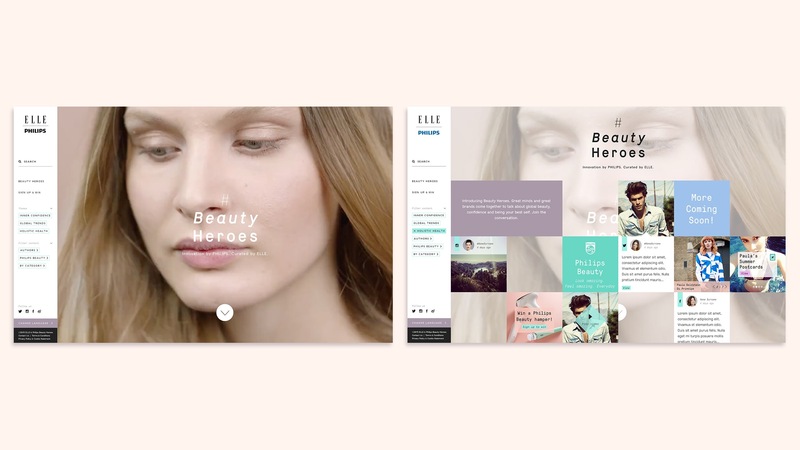 The result was a new brand identity for the campaign – Beauty Heroes – a website and communications that focused on six beauty ambassadors and their ongoing experience with Philips’ Beauty products. 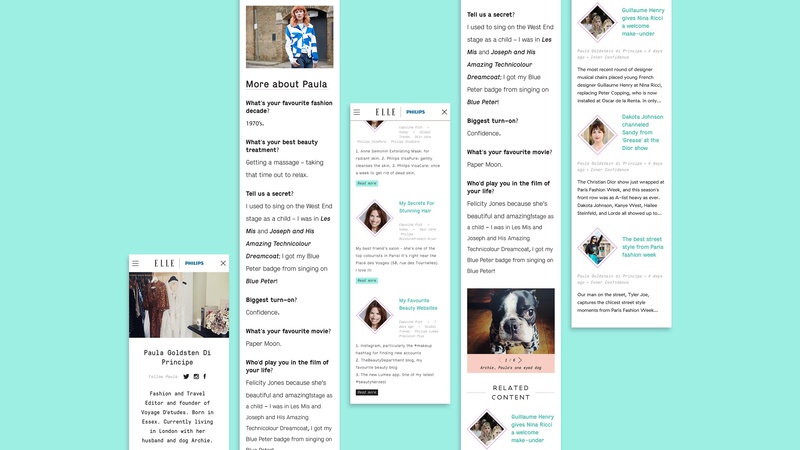 To reach the largest possible global audience, the site was built responsively for desktop, tablet and mobile and made available in English, Russian, German, French, Korean and Chinese. And to cap it all… this was the world’s first global ‘Always-On’ beauty campaign. Over its six month period it received over 453,000 visits and 120,000 competition entries.